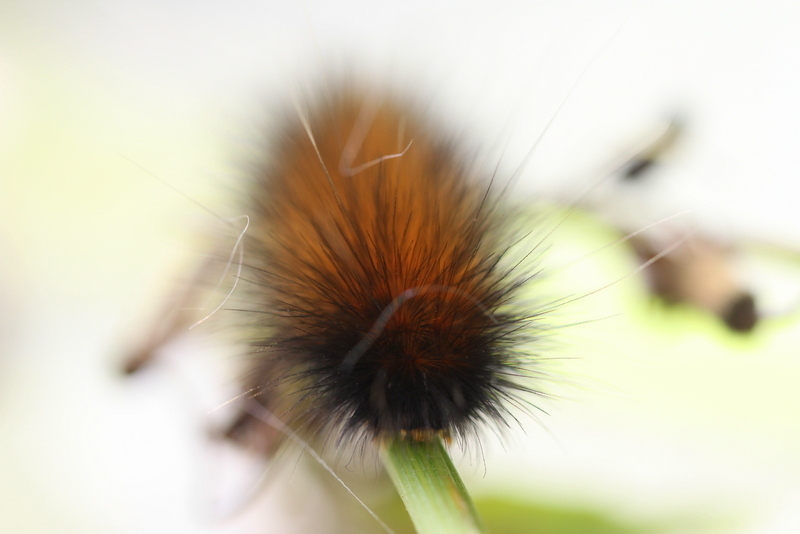 I’ve heard woolly bear caterpillar winter weather predictions, for as long as I can remember. I’ve heard tales like, the more black, the harder the winter will be, and if you see them crossing the road the winter will be hard. Even if you don’t believe, I think there is something about folklore that just kinda warms the heart, don’t you think? I found this one moseying among the weeds in the pepper garden. Look at those feet! – Okay I’m sure that isn’t the proper term. According to The Farmers Almanac the weather predicting folklore of these beauties was made famous in 1948 by Dr. C.H. Curran. Read more here. 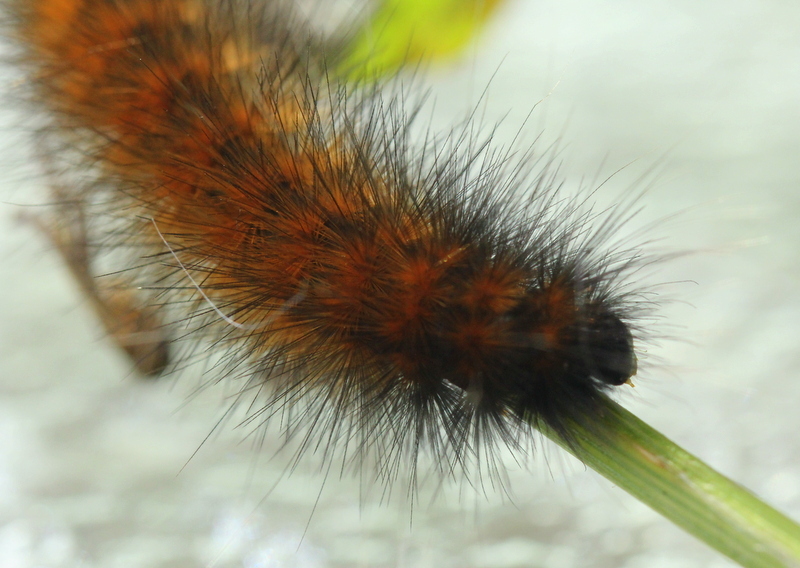 Did you grow up hearing Wooly Bear Folklore? 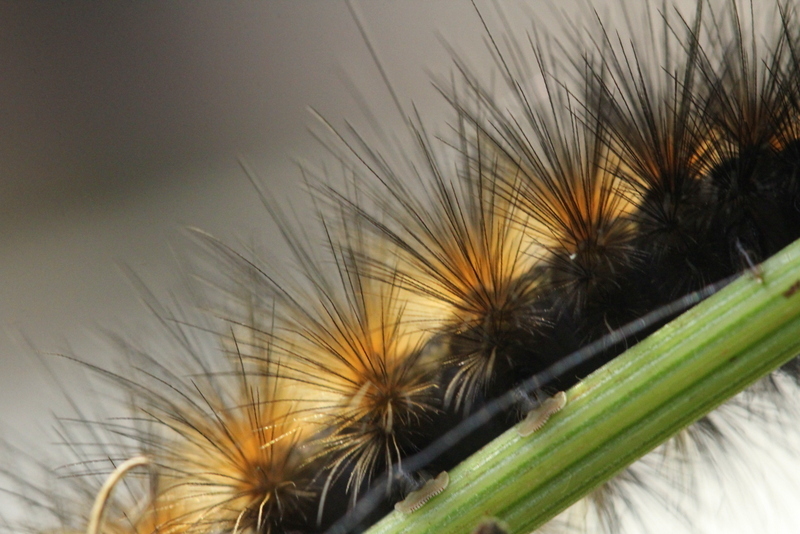 Kim of Red Dirt Farm • This entry was posted in folklore and tagged canon eos 60d, country living, farmers almanac, folk lore, gardening, Isabella Moth, macro photography, nature, photography, virginia, winter weather predictors, wooly bear caterpillar. Bookmark the permalink. 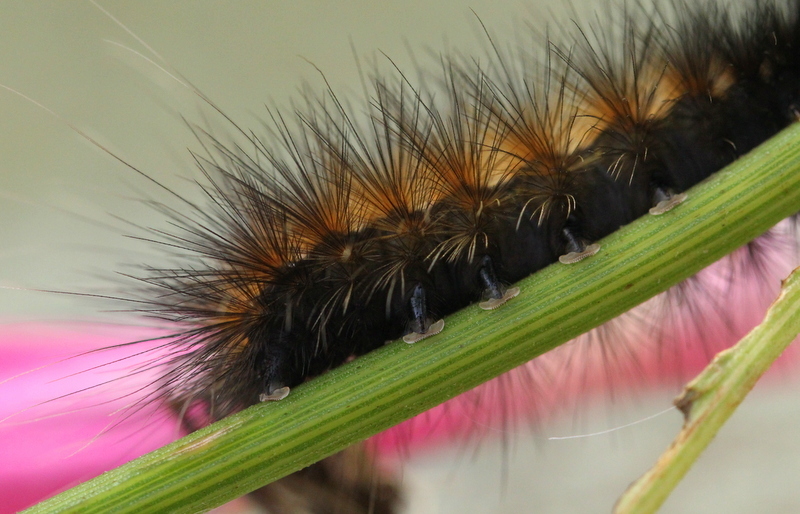 Never ever heard of wooly bear caterpillars. I wonder if we even have any. He has a fair amount of black on him. What’s he gonna do for socks and shoes? I don’t think Nike makes shoes that small. Absolutely stunning photographs! The detail is amazing. Oh goodness, if that’s true we will have a very harsh winter in the Northeast!! The one my husband and I saw the other day was so big I thought it was fake, and almost all black. Sigh……a lot of shoveling may be on my winter to-do list! Staci – sounds like you better get your long underwear and the shovels in shipshape!! I don’t do winter so well, I’m a warm weather girl. How do the chickens do in the snow?